Blondes aren’t the only golden goddesses of the color universe! 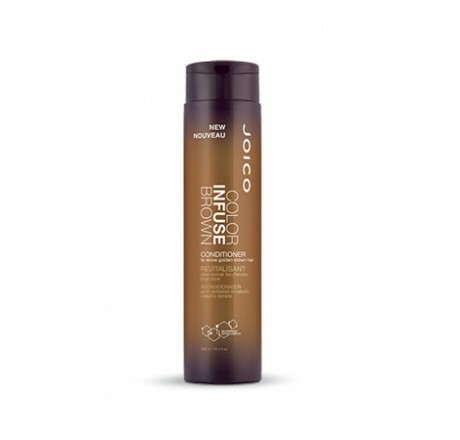 Now brunettes can share in their gleaming glory with NEW Color Infuse Brown Shampoo & Conditioner, our bold-gold duo proven to instantly infuse light-to-medium brown hair with a gorgeous golden-brown glow. 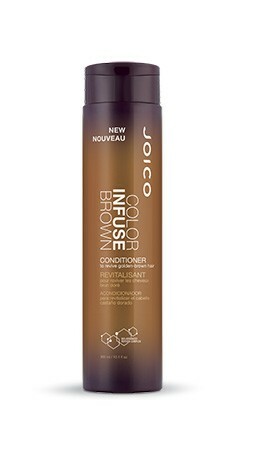 Why You’ll Love Them • Maintain over 89% of color vibrancy even after 10 washes • Instantly refresh golden-brown tones + enhance golden highlights • Tone-enhancing pigments last through multiple shampoos • Proven to reduce breakage by more than 40%* • Multi-Spectrum Defense Complex™ helps protect color against fading • Bio-Advanced Peptide Complex™ delivers root-to-tip repair + protection for healthier hair with every use • Boost color vibrancy + shine *Against combing breakage on damaged hair vs. a non-conditioning shampoo.